In response to a reporter's question Tuesday, the PA official, Maen Areikat, said that “after a military occupation of 44 years, I think it would be best for the two nations to split.” He added that Jews would not be welcome to live in the PA state. The implication, said Lieberman, was that more than 350,000 Jews who live in areas the PA claims for its state would have to leave their homes. The Palestine Liberation Organization, however -- tasked with making the formal request to the United Nations for recognition of the PA as a new Arab country, and accepting the entity into its ranks as a full member -- has announced that the new state would "welcome all faiths." Lieberman said Thursday that Areikat's comments were similar to other statements made directly by Palestinian Authority Chairman Mahmoud Abbas, who has spoken of the need to deport all Jews from PA controlled areas. Both Areikat's and Abbas' statements, said Lieberman, prove that the PA plans to make its state “Judenrein,” borrowing a term describing the Nazis' policy of destroying Jews and murdering them. 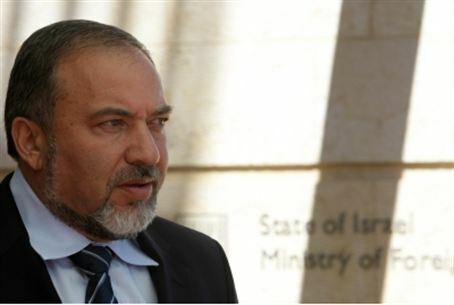 “The nations of the world should take these comments into account when deciding how to vote on the PA's demand to set up a state,” Lieberman said.